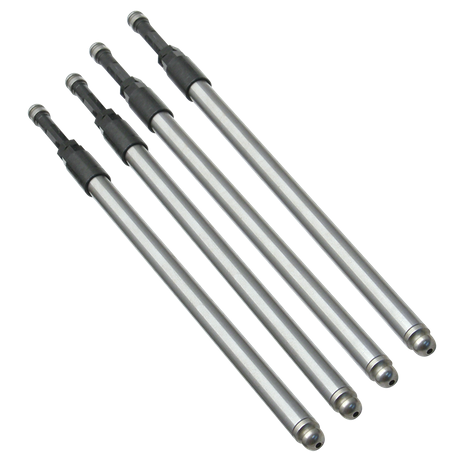 These Quickee pushrods can be both installed and removed easily. The S&S® design permits a simple, trouble free installation that does not require removal of the gas tank, rocker assemblies, or even the rocker box cover! This especially pertains to M8 models that have a coolant line that covers the rocker boxes. Use of these pushrods allow you to leave the coolant lines undisturbed on M8 models. OEM pushrods may be cut to permit removal without rocker disassembly. 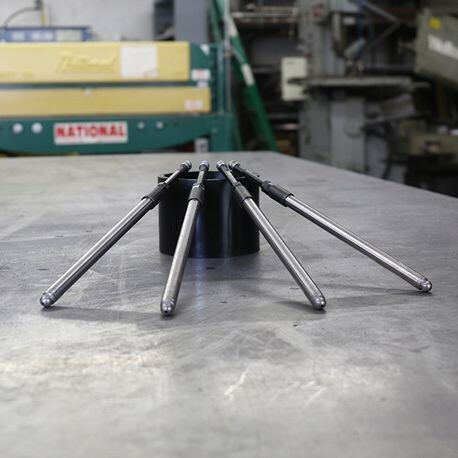 The threaded adjuster screws into the pushrod until the threads disengage and the adjuster simply slides into the pushrod, making installation or removal a snap. Once the pushrod is installed and adjusted, the locknut prevents the adjuster from moving. Adjustable to accommodate all tappets and cam base circle diameters and engine height. 1984-'99 style pushrod covers are required for access to the Quickee Adjustable Pushrod adjusters in 2007-'12 big twins.